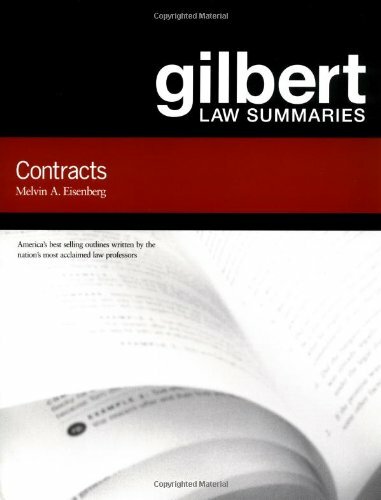 I bought this book as part of the The First Year Program which contains a total of five outlines (Civil Procedure, Contracts, Criminal Law, Property, and Torts), plus Gilbert's Dictionary of Legal Terms and Gilbert's 8 Secrets of Top Exam Performance in Law School by Charles Whitebread. It got me through my first year of law school and I highly recommend them to all first year law students. Overall good review of Contract Law. Only suggestion is picking up black law dictionary with purchase some words they assume the reader knows which can damper learning experience. I would suggest not using their essay questions; rather check with your school library for old ones from your school. The multiple choice practice were dead on with my schools multiple choice. As above dont put eggs in one basket; I did well in contracts first semester but this is one of three books I personally read. I just finished my Contracts final, but I will not blame my grade on this book. This does what it is supposed to.It supplements the material that the Prof. presents in class.If you are not sure what the modern rule is, this is where you go.If you are not sure if there is an exception, this is where you go.If you are not sure what the basic functions of the rule is, this is where you check.If you are not sure what Restatement or UCC section applies, this is where you check. If you want to know the reasons Why, this is not where you go.The book explains the rationale behind the rule in only a few situations.If you have an exam that is only multiple choice, you could skip every class, read this cover to cover three times and do pretty well.Unfortunately, most exams are not like that. 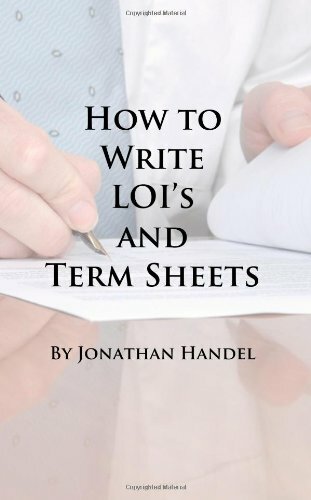 This book is great for supplementing your notes and filling in the gray areas.For that, it is invaluable, but like all commercial outlines, it cannot replace your notes. As the previous reviewer says, the flow charts are excellent.This certainly facilitates understanding, I would just recommend not putting all your eggs in this basket. The charts in this book are what makes it so effective and helpful.Once again Gilbert's has provided law students with a great teaching aid and exam study guide.The questions in the back are very good, but beware 1L's in your first semester not having all of the information necessary to fully answer the questions. I'm a big fan of the Law in a Flash series. These cards make for a great supplemental study aid. The best feature, in my opinion, is the "scenario" questions. These are like mini-fact patterns designed to get you thinking about one particular issue. I've found these to help get my mind around particular topics in a format conducive to an essay style exam (which all of my instructors use). I do wish that the cards had some more "concept w/definition" cards (where one side gives a word, concept, or issue, and the answer side has a rote definition), but it's not a major issue. I also do think that there was a bit too much repetition at times, and the product could have been pared down a bit.But maybe that repetition helps some people, despite annoying people like me. Extremely pleased with product.It was in exactly the condition described and sent very quickly, much appreciated. Not worth the money or time! First - the flash cards were often too simplistic or just wrong. Second - while many people may have done well with them they aren't an efficient study method (at least they weren't for me). The cards often have too much info on them or they are asking too obscure of a question to be useful when compared to an E+E or the Siegel's series. I suggest that you save your money, these weren't cheap, and use an E+E and Siegels to learn how to answer questions and review. Law school exams are more about depth of analysis than simple memorization anyway. Mostly a waste of money. The cards overemphasize minor technical points (tons of cards on the rules about minors contracting, e.g. ), fail to give anything more than basic hypos on major concepts (promissory estoppel, consideration, etc. ), and are chock full of ridiculous, useless and cumbersome mnemonic devices. I'd like to see the picture of the book I want to buy next time. It can show the real condition of the book. The book is in good quality, but I received the wrong edition. Then I refund my money. This is my second semester of using this book, and it is awful. The authors will introduce concepts as if you already know them without explaining them. Also this book is heavy into referring other books to read to learn more about the concepts, which is not helpful in the least because they fail to even explain anything. If you are assigned this book, invest in a supplement because otherwise you will be lost! The Examples & Explanations is very good, but what supplement you need can vary from professor to professor because each can approach the ideas in different ways. zanandjayna's review sums up much about how I feel about this casebook. Other complaints that I had is that the notes/comments sections are quite poor and are usually of little relevance tothe case and/or concept you just studied. Also many of the cases have been poorly edited, leaving out key concepts that most prof's expect you to know. All in all, this is a poor casebook. If you use it i recommend a good supplement. 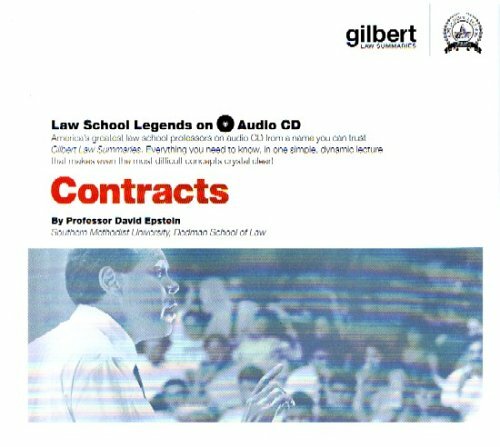 If you're a law student who is studying contracts these lectures WILL NOT help you. Epstein is a brilliant and effective scholar who does everything in his power to hide that fact from you in these lectures. The information he provides is general and too vague to be useful to effective law students.He mentions all the right principles (Offer/Acceptance, Consideration, Adhesion, ect) but with no real discussion of the rules and exceptions behind the principles that you'll need on your exam. It feels like Epstein is teaching a mini-course for non-lawyers who only need a passing familiarity with a few contract principles. His advice on how to take the exam is essentially just a series of reminders like, "On an exam, for Offer and Acceptance, make sure that someone is offering something and that someone is clearly accepting the offer." -Brilliant!I stopped listening after the first CD, by then it was obvious that it wasn't going to be helpful. They cost more, but it is worth the money. Whaley will give you an in-depth understanding on the principles and give you straight-forward rules you can apply on your exam questions. I used his CD as I was constructing my outline and preparing for the exam. I received a 91 on my exam which was the 3rd highest grade in my class. Do yourself a favor and pass on Epstein's contracts. I almost returned the cd after reading the reviews but decided against it after getting assigned an abstract theoretical professor in contracts in a gigantic class. Knowing full well she will ask us the basic contracts exam hypos I still have to learn the main stuff. This cd set is wonderful. Epstein may not tell the funny jokes that Freer does but he certainly makes the stuff easy to learn, easy to understand - especially the definitions and what to look for in exams mentioning which fact patterns professor love to trick students with. Easy to use cd's that tell you which topic is being discussed. One cd gives a full outline - just print away. I think I will go ahead and buy the rest of the series. As a student, I'm on a budget but these actually do a very good job supplementing you studies. I recommend them over all the Emmanuel books out there (which I also have) b/c as a 1L you will get tired of reading and this is when you just sit back and absorb the info. First thing.Let's set expectations.This is a five-hour lecture.First-year contracts is a six-semester-hour course.For every hour in class, if you spend two hours studying, then that means it is supposed to take 18 hours per week, times 15 weeks to learn contracts.That's 270 hours of preparation to sit for one or two exams.You are not going to "learn contracts" from this five-hour lecture.You should not expect that.What this lecture IS, however, is an excellent summary review of contracts.It is probably true that you might get the same information by reading the detailed table of contents from your casebook. 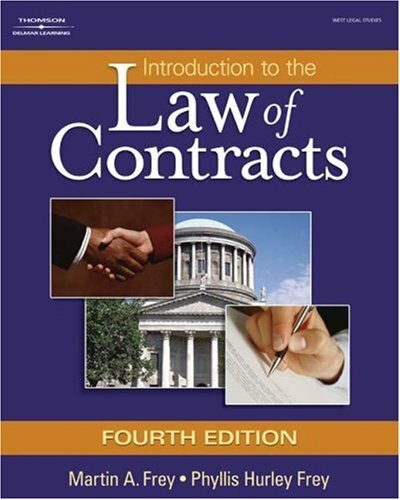 (Except that the lecturer explains each heading and gives you a brief review of the rules).So if you are looking for an easy way to learn contracts without having to read your casebook, then I agree with the other rater, don't waste your money.Why did I buy this?I drive 7 hours every weekend.That's 3.5 hours of NPR every Friday evening, and 3.5 hours of law lectures every Sunday afternoon.What has this lecture done for me?Before starting my class, it gave me the lay of the land in contracts, so that when I began learning contracts, I had the perspective of how all the material fits together.That aided me with memory retention as I aquired the content.Second, during the middle of each semester, I gave it another listen, which helped me keep the perspective.Finally, I gave another listen before each final, which reinforced what I had learned.When you find yourself viewing your notes and outline in your head while the lecturer is speaking, it helps reinforce your memory recall, and it builds your confidence.I can tell you also that during my finals, as I was answering a few questions, I could hear Epstein's Texan accent blasting in my head, and yes, it did help me recall a few of the principles.No, this is not a 5-hour short-cut to learn a year-long contracts course.Nor will you become instantly rich or fluent in Spanish.But if you do read your book and attend your class, and you have dead time to listen to this lecture, it will help. His voice has a kind of southern/Texas accent, but it is understandble. He speaks slowly--too slowly. His audio apparently followed an organizational style consistent with his books. His course organization is different than I am getting in a first year course taught using the Farnsworth casebook. However, I have taken 3/4 of a year course already and I am truly stunned about this audio for one reason--no content. I gave up on this audio after listening to 40% of it, because it said nothing. I might as well have spent my time just reading the section headers for my casebook for all the useful information being imparted. I know that someone is going to write this audio should be for review only, not learning the subject. I think the audio should be for review _and_ learning. This audio simply fails on both counts, for example the cases/hypos are infrequent and are so sparsely detailed that I could not follow what he was trying to say about them. 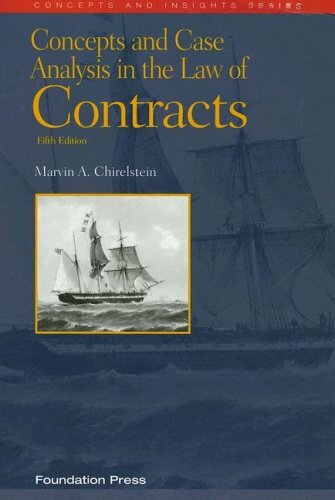 This is a very readable introduction to contracts.It is quite short, and I used it to give myself some basic familiarity in advance of beginning the class. It Really is an Enjoyable Read! I didn't believe that a law book could be fun either, but this one really is.Clear, concise, and (amazingly enough) entertaining, it explains the major concepts of Contract Law in a way that never threatened to drive me to drink or to sleep. I am a failed law student. I went the first year and quit because I didn't enjoy the experience and knew the law profession was not one I wished to join. However, I came across, and kept, a few *phenomenal* books while I was in law school, books written in layman's terms that give a wonderful understanding of an area of the law, and this book is one. Many of us don't have the time or money to invest in a personal lawyer to answer any legal questions. This book serves the role nicely. With its simple language and highlights of the major points of contract law, it will give good direction when seeking legal council. What this book will not do is give you everything you need to pass a law school class. I know because I tried. But for the semester I did care, this book supplemented my text and the UCC very well and helped me get an A. 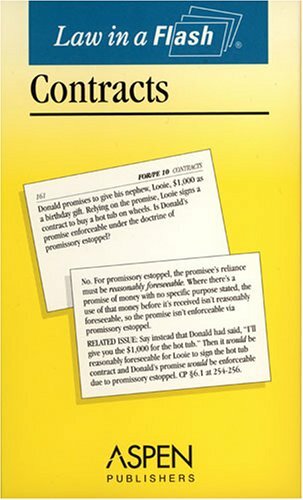 The book delivers what it promises: a very succinct overview of Contracts law. 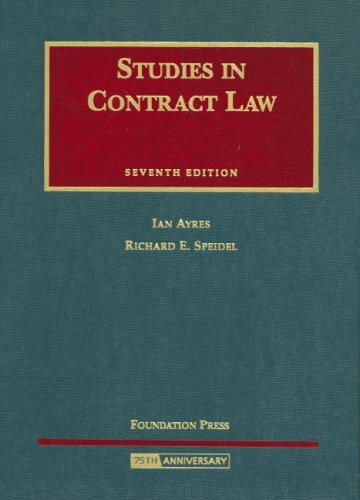 I found it immensely helpful in understanding major themes in Contracts, and the book addresses many of the most popular cases found in the casebooks. My one complaint is that Prof. Chirelstien is sometimes a bit verbose at times. It often appears as if he looses sight of his audience (law students primarily) and tries to impress his colleagues in academia with his vocabulary and academic wittiness. I can get that in class from my own professors. That said, I think the book a very helpful guide to law students who are still fuzzy about the concepts after reading the casebook and going to lecture. 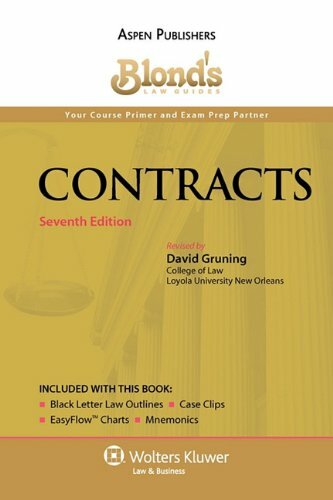 I highly recommend this book on contracts.I am taking a paralegal "Contracts" class and have completed the course except for the final exam. Definitions of legalisms are very clear and are included in the book (though you will find you must get the paperback version of Black's Law Dictionary), the index to the book is quite useful.Examples are always given and are clear. 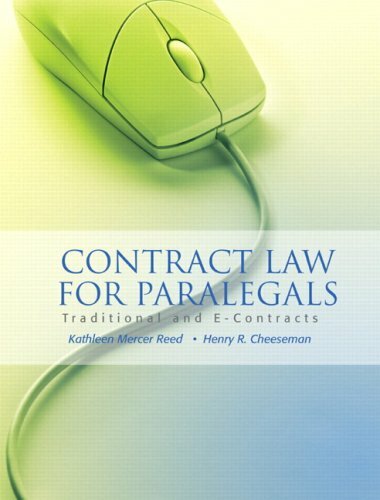 The book will also act as a future reference for me when I am analyzing a contract.Each chapter concludes with a "paralegal checklist" that summarizes the subject at hand so you can double-check the contract you are reading to see that everything is correct. I believe this textbook is part of a new breed of textbooks.I found, for a parallel example, that Michael Sullivan's book on Algebra and Trigonometry is a miracle of thoroughness and clarity, considering the subject, and that this book is a "miracle" of clarity, again considering it is a legal textbook, and the subject. I am in a love/hate relationship with this book!On the up side, it is very well organized.In fact, it reads like a really, really good set of notes.On the down side, although it is well organized, it ONLY reads like a really, really good set of notes. 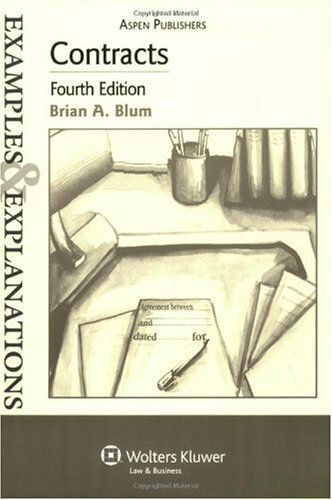 I am presently using this book in an online paralegal course and find myself going online constantly to hunt for examples or explanations of the definitions.It would really help for the authors to provide more examples and maybe even answers to selected questions. On the other hand, if you are trying to plow through a wordy text and need a good, organized synopsis of the material, this is the book for you. It's an okay book.A source of frustration with it is the frequent use of exercise questions without then explaining the answers.That may work in traditional classroom where class discussion and a teacher are involved, but it does not work for the lone reader. Read a review regarding this book and it is excellent.The class is challenging and the book is an easy read. 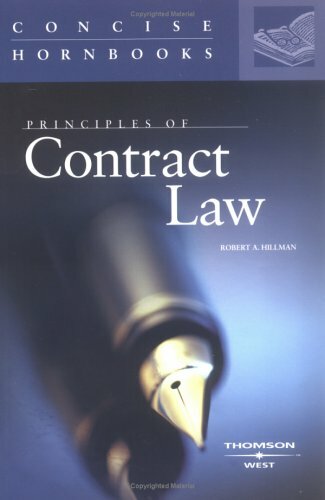 I have found this to be interesting reading on the law of contracts.As with all the examples series, it is easy to read, has examples and questions that can be used to judge your grasp of the information with explanations. This book was very elementary. It was no substitute for class notes or the casebook. This book is written very well. The concepts are laid out in a cohesive manner. 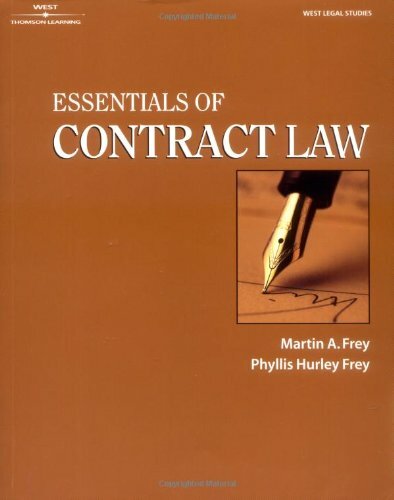 This book is especially helpful if your Contracts professor is very scant or unclear with his own explanations. 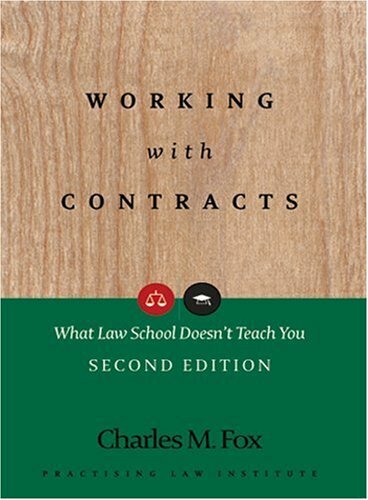 I have purchased all the E&E for my law school classes, but I will try to limit my review to the Contracts book.I find myself relying on this book to help me understand concepts that are somewhat unclear to me from just reading the casebook.It helps clarify key points in layman's terms, and it provides example questions to make sure that you have the ability to apply the concepts that you are learning. The product reached on time as given by the Buyer. the condition was very good. Why don't we just study from Gilberts? Short review while I study contracts out of this book.The book is poorly written, where oftentimes the question of law is presented before the facts.Facts, though not whatyou should take with you, focus you to the event.Law with no facts is meaningless, and we might as well read out of the Restatement book.Sometimes the cases are pointlessly long, sometimes elusively short.Always confusing, never well written.Why put in 1st restatement when we are on the 3rd?Why tell the story out of order?Why give the procedural history before the facts?My questions go unanswered.However, as Contracts go, some of the cases they choose are interesting.Imagine if every single case was about breach of renter's agreement, or arbitration clause.At least there are some fun wheeling and dealings in here. It is a very rare thing when when words coil around your soul and leave you breathless and clear-eyed. Few books have the power or brilliance to be transforming, and even fewer are brave enough to launch entirely new ways of thinking about literature. 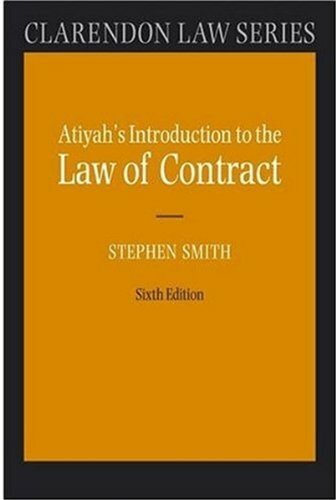 And then comes "Studies in Contract Law: Sixth Edition," the newest book from renowned legal philosopher Murphy Et Al. A quick glance at its faux-leather cover and embossed title and you might cast it aside as yet another heavy, meandering read. But, as is often true, the adventurous will be rewarded with delights heretofore unknown to modern readers. "Studies" covers a startling range of topics, from the high-powered world of business to the disintegration of families throughout various eras of American history. It even briefly delves into poetry, quoting what it describes as "one of the delights of legal literature," namely the immortal Professor Brainerd Currie's "Aberlone, Rose Of." In the discussion of a presumed barren cow on page 490, the recitation of lines like "Ah me!--Ah moo! / Respectively their quidsome balm / How mournfully they chew!" grips us with longing and wistfulness. The frenetic pace of the text is filled with endless cliffhangers; nervous readers should take warning. Will Roscoe ever find his true father? Will the theft of Mrs. Hooper's gardenias ever be solved? Will Alaska Northern Development, Inc prevail over Alyeska Pipeline Service Co. regarding the applicability of the parol evidence rule of the Uniform Commercial Code, section 2-202, codified as AS 45.02-202? Subplots and intrigue twist throughout the book until page 1121, where a single sentence rings as sharp and true as any in history. "It was the best of times, it was the worst of times." "Call me Ishmael." "To be or not be." And now, from the sublime mind of Murphy Et Al: "The idea which ruled this case--that where a person for a consideration paid to him by another agrees to pay a sum of money to a third person, a stranger to the transaction, the latter does not thereby become possessed of the absolute right to the benefit of the promise, nor until he accepts the same in some way; and that while he is ignorant of the promise, or thereafter, at any time before he assents to the transaction, it may be rescinded,--we must admit is well supported in the books." 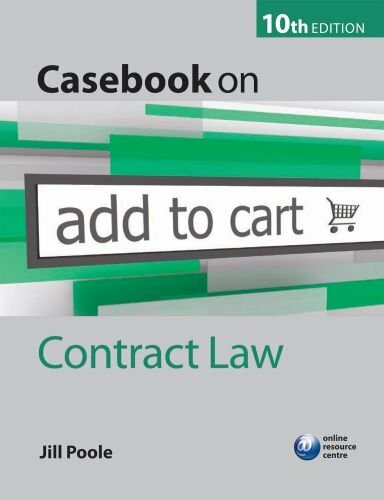 Jill Poole's best-selling Casebook on Contract Law provides a clear and well-structured explanation of the principles and rules of contract law through a comprehensive selection of case law, addressing all aspects encountered on undergraduate courses. The coverage in this new edition has been revised to incorporate all recent significant decisions and judgments made by the House of Lords and the Court of Appeal. 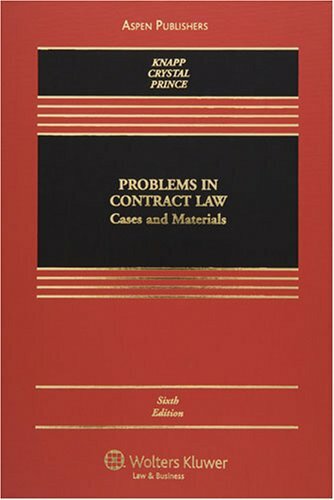 Extracts have been chosen from a wide range of historical and contemporary cases to illustrate the reasoning processes of the court and how legal principles are developed, thus enabling cases to be analysed and discussed independently while, taken as a whole, the chapters provide a sound understanding of the modern law of contract. Succinct author commentary focuses the reader on the key elements within the extracts, while thought-provoking questions are posed throughout to develop a more in-depth appreciation of the subject. From the start of classes to your final exams, Blond's Law Guides help you succeed in law school. Early in the semester and before each class, review the case summaries for clues on what to look for in a case. Throughout the semester, refer to the topical flow charts to understand the big picture of your course. As exam time draws near, utilize the summary outlines for semester review and mnemonics for essay prep. - Proven mnemonics that help you organize your essays and spot issues. 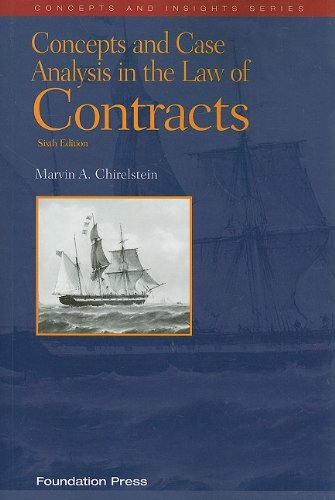 This text seeks to answer the two main questions relating to contract law: What promises does society enforce, and why does it enforce them?Writing in a clear and concise way, Hillman provides a great overview of the daunting area of contract law with numerous illustrations. Having been practicing for several years in corporate finance law, this book was a great means of beefing up on basic contract principles which one tends to lose sight of in the fray of all the business details subsuming large transactions. I'm not sure what Hillman's trick is here, whether it's the super thin pages or what, but this benign looking soft cover really packs a punch.He also has a sense of humour, and while Jerry Seinfeld he is not, his sidebar quips are a welcome gloss and even had me chuckling aloud once or twice. I recommend this book, highly. 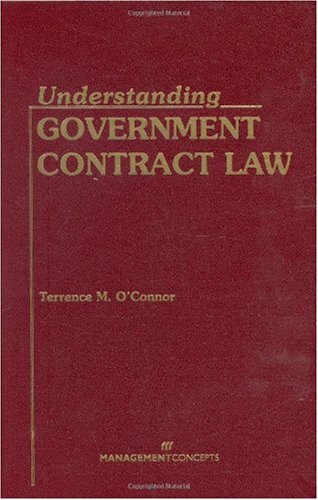 I've had a chance to check out many contract law supplements, and many well-known ones at that (Emanuel, Nutshell, Gilbert). I think this is the best of the bunch. Very readable (the author even manages to be funny - who thought contracts could be amusing?) and it really helps you understand the material. The footnotes are fantastic as well. If you can only afford one extra supplement for contracts, I think this is the one you should purchase. The best hornbook I've had for any course this year. This will improve your grade. 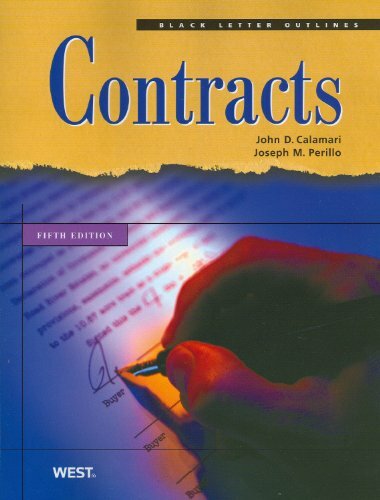 This is a nice, short, easy-to-read primer on Contracts from an expert in the field. Not too technical and written for law students or for someone interested in Contract law alone. This is the single best law supplement I've come across so far.Throughout my first semester of 1L at a T14 school, I concentrated on this book as much as (and probably more than) my casebook.I finished with an A, and I credit my understanding to Hillman's hornbook. Easy breezy reading, easy to carry, but goes into plenty of depth.